In my study of incredibly successful people, I have found that all of them display the characteristic of perseverance. 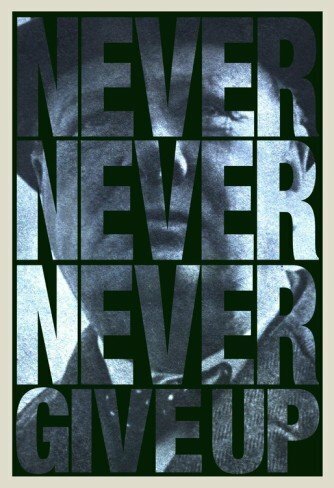 Winston Churchill displayed perseverance throughout his long life. He did not become Prime Minister of England until he was 62 years old, after a life of set-backs, both personal and professional. He galvanized a nation during the dark days of World War Two as Nazi war planes dropped bombs on London. “Winston has a conspicuous lack of success. As the headmaster of Harrow School introduced Prime Minister Churchill, he said, “Young men, be sure to take copious notes, this will probably be one of the greatest speeches you’ll ever hear.” As it turned out, it was certainly the shortest speech. except to convictions of honor and good sense.